Pittsgrove, NJ, March 21, 2018. “Going Ike,” returns for a third season! Follow Ike and his fellow anglers, friends, and family for another great season of fishing fun. 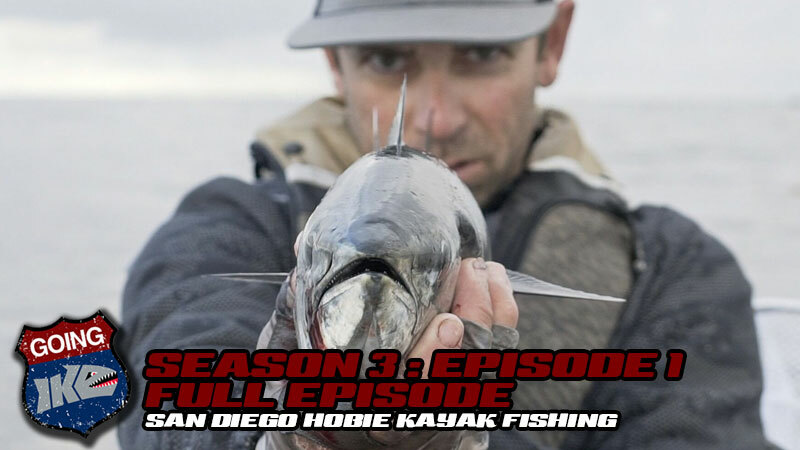 You don't want to miss this seasons adventures with fellow Angler's Britt Myers and Fletcher Shryock along with a ridiculous episode with the Ike Live crew, two amazing days salt water fishing with Hobie's very own Morgan Promnitz, local fishing with Taylor Stewart, better known as lawless_fishing on social media and a Holiday of fishing with the Ike kids. The show kicks off Thursday, March 22nd at 3pm EST on mikeiaconelli.com or Mike Iaconelli's YouTube Channel. Each episode crams in a full day of fishing action, fun and excitement. Fishing venues and themes include the unlikely, the unusual, and the unheard of, from fishing in urban areas, to secret hidden spots in the country, and everything in between. Going Ike was filmed and produced by two professional film makers, 496 Films with Hunter Shyrock and Illustrado films with Vince “Stizo” Wasserluk and Ray “Stay Nice” Quijano. A new Going Ike episode will air every two weeks. To receive an email with dates when each new episode is released, subscribe to Mike's newsletter on Mike Iaconelli's website and get a special coupon for a discount on Ike merchandise from the Ike Shop.